You may remember I reviewed a cheaper alternative to the Clarisonic - Champneys Spa Facial Brush a few months ago which retails at £20. 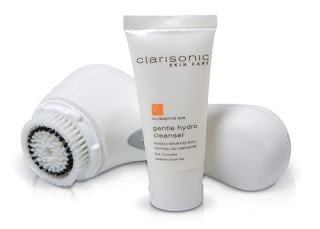 Although I found this to be a great gadget and for the price it is great value if you are on a budget but now I have had chance to test out the Clarisonic Mia over the past 3 months, there is no comparison. The rechargeable brush is completely waterproof, making it perfect for use in the bath or shower. Mia’s unique, compact pLink® power link charger magnetically attaches to the handle and allows for a full 20 minutes of use. Brush heads are interchangeable with other Clarisonic skin cleansing models allowing you the benefits of the normal, sensitive or delicate brushes (Mia is supplied with the sensitive brush head – ideal for sensitive to normal skin types) and you can buy replacement brush heads. It is vital to keep the brush heads clean and change them every 2-3 months so prevent spreading bacteria around the skin. A top tip is to clean the brush head in the dishwasher with some fairy liquid or baby shampoo or you can clean it after every use with anti-bacteria spray. On a morning I tend to quickly swipe over my eyes with Liz Earle’s Eye Bright Lotion and then apply a small amount of cleanser on damp skin, dampen the Clarisonic brush head and run across my face for one minute (the timer is set automatically for one minute). I would then rinse my face and apply my serum and moisturizer which I find sinks in nicely after using the Mia. On an evening first of all, I remove my eye makeup with Liz Earle Eye Bright or Bioderma Crealine H2O on a cotton pad. I then remove my makeup with an oil-based cleanser, massaging the oil into my skin, adding a little water to emulsify the oil into a milky texture then rinse with warm water. Although the device comes with a small travel sized Clarisonic cleanser, I still like to use my usual cleansers with the Clarisonic. I use either Dermalogica Special Cleansing Gel, Liz Earle Cleanse and Polish or Elemis Tri Enzyme Facial Wash and apply a little on my skin before pressing the button on the Clairsonic and run the brush (I use the sensitive brush head) all over my face for one minute. I tend to switch and change my cleansers depending on my mood/how my skin is feeling. I then rinse my face and depending on my skin’s needs I might use an exfoliate scrub, face mask or facial oil before applying moisturizer. 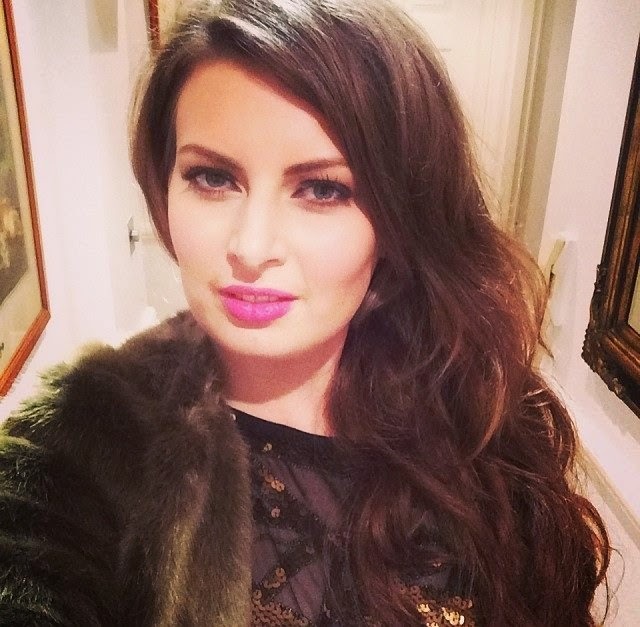 My skin type is normally classed as normal/combination – it tends to be normal most of the time but every now and then I get spots around the chin area (hormonal), sometimes have oily patches and tend to get dry on the forehead and cheeks. After testing out the Claironic Mia for over 3 months now, I have noticed that my skin appears more balanced, with less dry patches, and less breakouts (even when it’s that time of the month). The brush feels so soft on the skin and not at all scratchy, it is relaxing to use apart from I find the vibrations slightly uncomfortable around the nose area. It works deeply yet gently to clear pores and prepare the skin for increased absorption , releasing your moisturiser’s full potential. I find my moisturiser sinks in well into my skin after using the device and my skin looks brighter and smoother in texture. I haven’t noticed a difference in pore sizes or blackheads around my nose; however I do find it quite tricky to use the Mia around the nose area. It is great portable device to take on holiday, as it is portable and long as you charge up the device before you go, there is no need in taking the charger with you which saves on weight in your case. It is worth noting that if you are using the tool in the UK you will need to purchase a travel adaptor as the charger that comes with the device has a USA plug. I do feel for the cost of the set – the device should come with a couple of different sized brush heads, as in comparison the cheap-as-chips Champney’s version came with 4 brush heads in various sizes. Although it’s on the pricey side, I would definitely recommend this, especially those who have oily skins or prone to breakouts. I think the only downside for those on a budget is the price, so I would suggest maybe putting it on your Birthday/Christmas List, taking advantage of the Space NK discount days or joining a free cashback site (where you can save money on lots of other websites too!). If you were thinking of purchasing a Clarisonic, I would definitely recommend the Mia and it is smaller and more compact and best of all it is much cheaper in price! 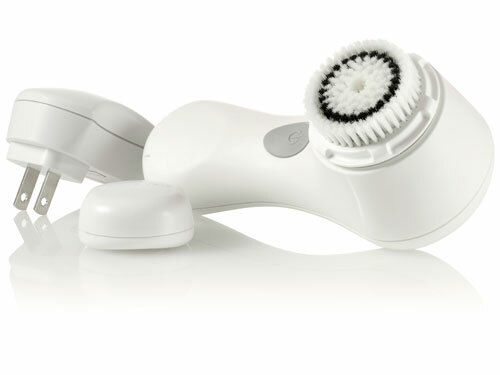 The Clarisonic Mia is available exclusively in the UK at John Lewis, feelunique.com or Debenhams priced at £120.